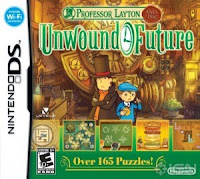 This is the third installment of the Professor Layton Series. The UK/Europe version is called "The Lost Future". The final episode of the trilogy, that involves Professor Layton, his apprentice Luke Triton and the additional characters in London. 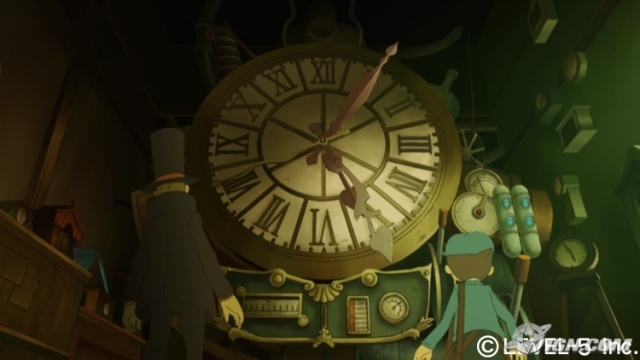 The story takes place in 2 set of time, the present London and the future London, where Layton meets the 10 years older Luke Triton, or Big Luke. At the time this post is made, I've reached Chapter 10 of 14. Still a long way, because I've solved only 85 of 168 puzzles available. I've nailed most of them myself, and several with the help of a walkthrough. Yup, I admit that I'm too lazy to solve moving blocks puzzle that takes time and held me back to moving on with the storyline. There are several complicated puzzle, but since I've only went half the way, I can still manage. Besides, having experienced with 2 earlier titles, I think I've got higher knowledge in seeing that a puzzle sometimes has a trick that sometimes creates different anwer than what we've supposed to think. For example, this one puzzle, asked us to count the number of people, from a group of tourists in a double decker bus. The answer is not that predictable because you need to add the fact that there are two other additional people beside the tourists. The tour guide, and yes... the BUS DRIVER. Very neat, huh? The story itself tells us about a Time Machine created by Dr. Stahngun. In a public demo, a huge chaos happened when the machine exploded and caused Bill Hawks, the prime minister, to vanish. This prologue, brought us to encounter letters from the Future Luke, asking Layton to solve the mystery from a different time. 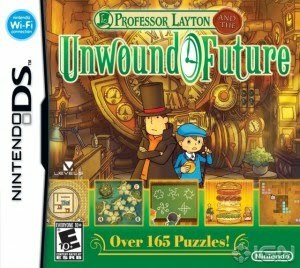 And thus, Layton and Luke had to traveled to 10 years ahead-London to put all the puzzled together. Later on, Flora and the others joined Layton to access the future themselves. Layton : "Luke! There you are!" Luke : "...Oh, hi, Professor." Layton : "I see you've gone out for a stroll. Do you mind if I join you?" Luke : "No problem. Sorry to run off. I was just... well, I was just thinking." Luke : "We've had so much fun these last few years. And I've gotten so used to going everywhere together." Layton : "Of course you have. After all, we're the best of friends. It's only natural we'd spend time together." Luke : "Dad told me the other day that his job is transferring him. So we'll all be moving." Layton : "Ah, yes. Your father mentioned that to me as well. Tell me, Luke, do you believe that we're true friends?" Luke : "Of course I do! How can you even ask that?" 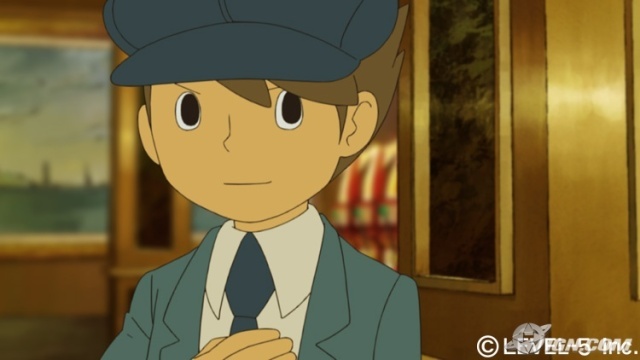 Layton : "Good. Then there's no need to worry." Layton : "You see, true friends share a special connection. And this connection endures no matter how far apart they may be separated physically." Layton : "Distance and time apart are irrelevant to the bond formed by a true friendship...."
I've heard rumors about this being the last adventure of Layton and Luke, but new titles popping up after this one (The Eternal Diva, The Specter's Flute, The Mask of Miracle) made me doubt about that rumors. Even from starting this game, there's no definite events leading to that rumor. But then, after almost 60% progressing the game, the truth is revealed. And to add more facts to the rumor, the new titles I mentioned happened BEFORE the 1st game, and Wikipedia said that this 3rd game is the final title from the chronology. Wow... I mean wow, so this is another GOODBYE? I've been experiencing different kind of this 'farewell thing' lately, is it a sign for me? 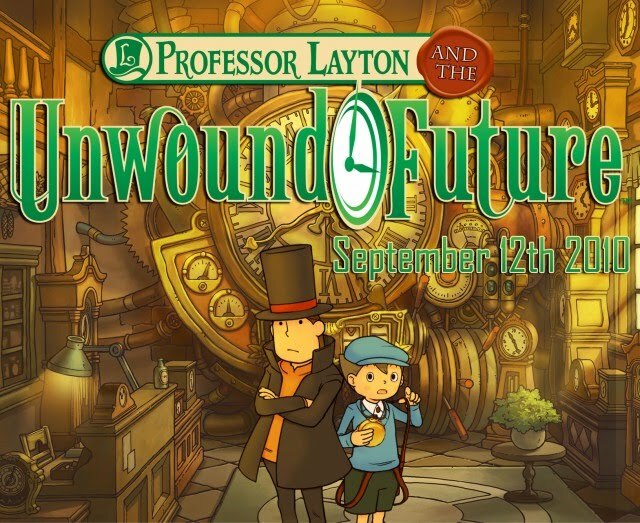 Professor Layton & The Unwound Future Wiki page: SEE IT HERE!